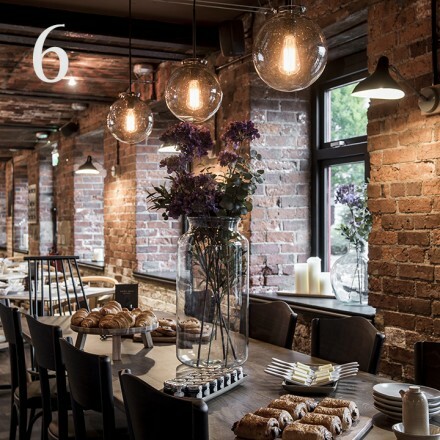 Behold our beautiful Leeds brasserie, a gorgeous converted Victorian mill on the canal is full of character and atmosphere.Open every day from breakfast through to dinner, join us for a cup of mulled wine or hot chocolate to warm up in between forays out and about in the fabulous Leeds Christmas market. Picture perfect Christmas cabins, festive greenery, Christmas carousel ride and twinkling lights create a wonderful atmosphere in the heart of the city centre until 20th December. So plan a trip, and don’t forget to book a table at our Leeds brasserie for some of our delicious festive fare. Our advent calendar is filling up with beautiful festive pictures, recipes & weekly giveaways, and continues to be revealed day by day. You can follow along with us on Instagram, Twitter & Facebook to join in the Christmas countdown. Or join us by posting pics of any of your festive activities, whether it’s watching a Christmas film or decorating a gingerbread house. Be sure to tag us using the #bbadvent for your chance to be entered into a weekly prize draw to win some exciting prizes including some of our beautifully designed bespoke Christmas crackers, our gorgeous charity Christmas cards, and Brasserie Blanc gift cards to be spent in the New Year.